Verena’s riding career began in Germany at the age of 5, when she started vaulting on a gentle Palomino owned by a family friend. This taught her the importance of balance and coordination, and opened the door to what Verena would later learn to be dressage. In 1995 after living and riding in Canada for 6 years, Verena met Wendy Christoff: a woman who would open many doors. It was at Wendy’s facility that Verena first sat on an imported warmblood. 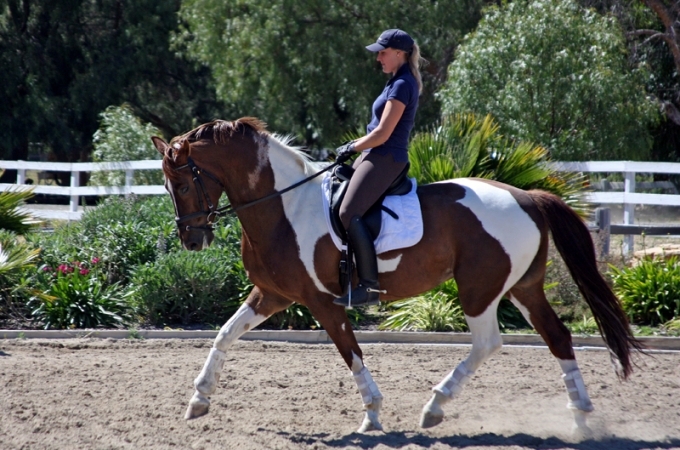 Wendy took Verena under her wing and introduced her to dressage. Wendy regularly trained with Bert Rutten, Olympic rider/trainer and Chef d’Equipe of the Dutch Olympic team. In 2002, Mr. Rutten offered Verena a position at his training and breeding facility in the Netherlands as a working student. The engagement was supposed to be for four months but things went extremely well. The months turned into years as Verena gradually worked her way up to the top position of first rider and stable manager at the Rutten facility. Verena blossomed into an exceptional rider during those years, receiving only the best instruction and guidance by one of the world’s top professionals. She competed at many national competitions, including showing four of Mr. Rutten’s four-year olds in The Pavo Cup (young horse selection trials) in the Netherlands. "To truly absorb the classical techniques, you have to immerse yourself in it every day. I had the honor of working for and learning from one of the world’s most renowned dressage riders. I sat in the ménage day in and day out–even when I was too exhausted to sit–and absorbed every last morsel of information. You learn a lot from watching! I learned the language (Dutch) so that I could really understand the dialogue between a true master and his pupil. I was given the opportunity of a lifetime by Mr. Rutten because he gave me a chance." In 2006, Verena accepted a sponsorship from HS Dutch Horses, Inc. and relocated to Redlands, CA to help build an Olympic-level training facility as chief trainer and facility manager. She took Urial from 2nd level through PSG, achieving many high scores. At the 2009 Championships, Verena won the warm-up class and finished 10th overall, a major accomplishment for a young team. In 2009, Verena decided to relocate to Westlake Villiage to start her own business: VS Dressage Inc. She has had many successes at FEI level, competing and coaching through Grand Prix. In 2011 she coached two riders representing Puerto Rico at the Pan American Games in Guadalajara, Mexico. Verena trains with Juan Matute when he clinics in California. She began working with him at his facility in Madrid, Spain while she was still based in the Netherlands. "Juan and I have the same intense passion about the horses. He is a true master of the in hand work. I have sat and watched him with countless different horses, and every single one dances for him. I have never met anyone with such an ability to teach Passage and Piaffe. He also keeps it light, elastic and fun. The horses simply love him." Verena also trains with Christine Traurig on a regular basis. "Christine has an exceptional eye for the basics and for detail. She can instantly assess a horse and see what it needs. She’s one of the greats of our time!" Currently, Verena’s mount is Unity, a 12-year old Dutch Warmblood that was bought for her as a three-year old by John Risley. 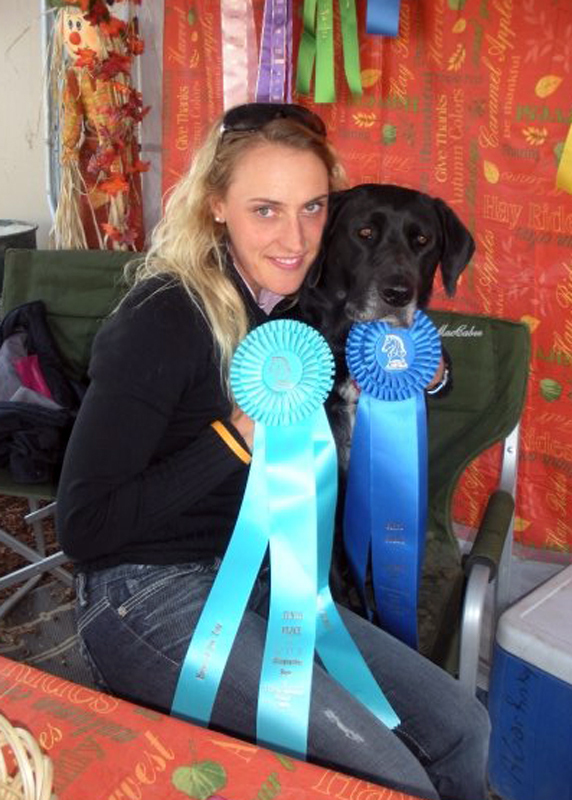 The two have had great success, finishing 2012 as Overall High Point Champion at PSG and Reserve Champion at Int-I. Verena is looking forward to a great 2014 show season in which she’ll be competing Unity at Int-I. Verena clinics all over the US , Puerto Rico and Canada. She trains students up to Grand Prix level and competes for VS Dressage Inc. at Savoir Faire Stables in San Marcos, CA. Get to know Verena Mahin from her introduction to the sport to her biggest influences. Find out what’s on the horizon for this up and coming Dressage rider as she follows her passion toward her Olympic dream. A supple horse who is relaxed and whose physical and mental state indicate he enjoys his work is, of course, ideal in any discipline and especially dressage. A tense, stiff or rigid horse is unable to use his body effectively and can’t properly demonstrate rhythm, relaxation, connection, impulsion, straightness or collection. Join Verena Mahin as she shares her favorite exercises to attain a greater degree of suppleness that subsequently allows the horse to move with bigger, more expressive gaits.